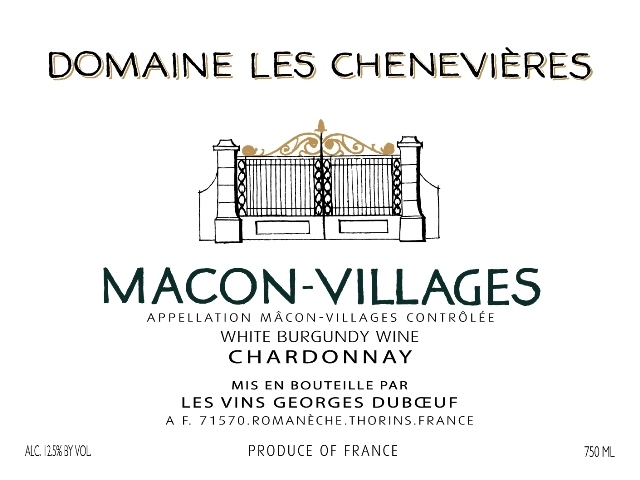 Mâcon-Villages Chenevières is dry, crisp and displays a fine bouquet of peach and pear with notes of honeysuckle. The nose carries through to the finish on this unoaked Chardonnay. Intense white blossom aromas delicately enhanced by hints of lemon. Pressing, juice racking, temperature control during the entire process, storage in stainless steel vats. The owners of “Domaine Les Chenevières” have lived and worked in Saint Maurice de Satonnay for several generations. Part of their typically Mâcon style home was built at least 300 years ago. The family have been winegrowers, father and son, for over five generations. 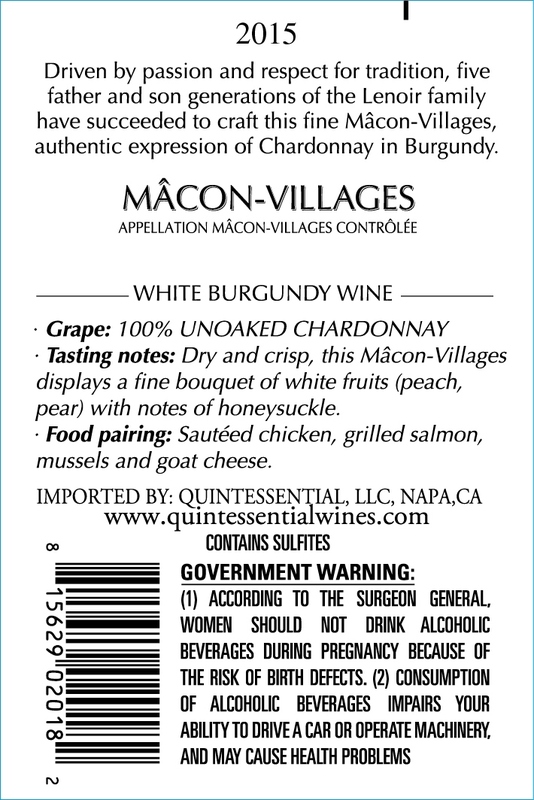 They are well known for the high quality of their Macon Villages. Best served with sautéed chicken, grilled salmon, mussels and goat cheese.